DWARF COMPLETE IS HERE and is 2.50! A while back, I had written some stories about a being known in mythology to have been an artisan, smith, miner, and warrior, only, in most text. Though many tales exist about the Dwarf, for me, it was important to put a different spin on the character. You can always place the Dwarf in a dark time, or fantastic place to coexist in a purposeful adventure. In my case, I wish to use this character, as the main character, to set an example of the eternal order that must exist between good and evil, under different circumstances. You could always put a Dwarf, the stager, on a quest, and in a battle with a vile dragon for his lost gold. It is possible to put, a rogue Dwarf against his own family lineage as he clashes to create his own dominant line. Dwarf Complete looks to set a different standard. Dwarf Complete is in an alternate universe, starting in 2010. It follows his character, over a three-year period. Thirty-year-old Lawrence Dodge, a gangland version of Robin Hood battles a corrupted, ever-changing existence. The question, in all of this, is can you accept the ending? The character Lawrence follows a path he should and enters situations that make his life beyond torturous. In the end, he makes a choice, and follows it to a major finale, but is it fair? 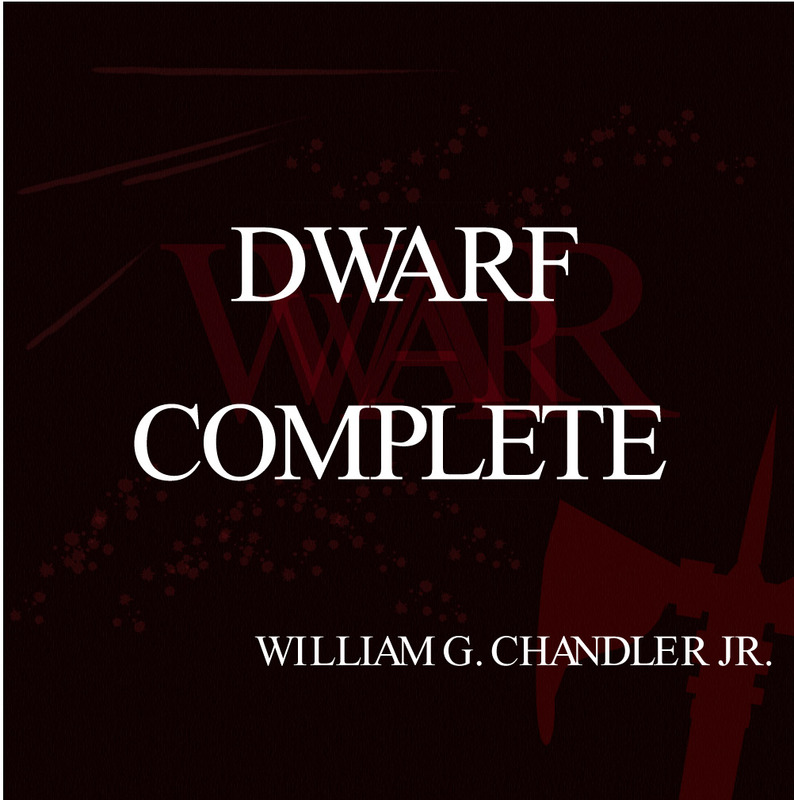 You can order Dwarf Complete, now for just 2.50, unless you have Kindle unlimited or use the other incentives, at http://www.amazon.com/dp/B010THPA1M/ref=cm_sw_r_pi_dp_YkkMvb1SCC8. I cannot forget to acknowledge one of my inspirations, at Dark Chapter Press, at http://www.darkchapterpress.com/, for more great written content. Thank you, ahead of time, for your contributions.